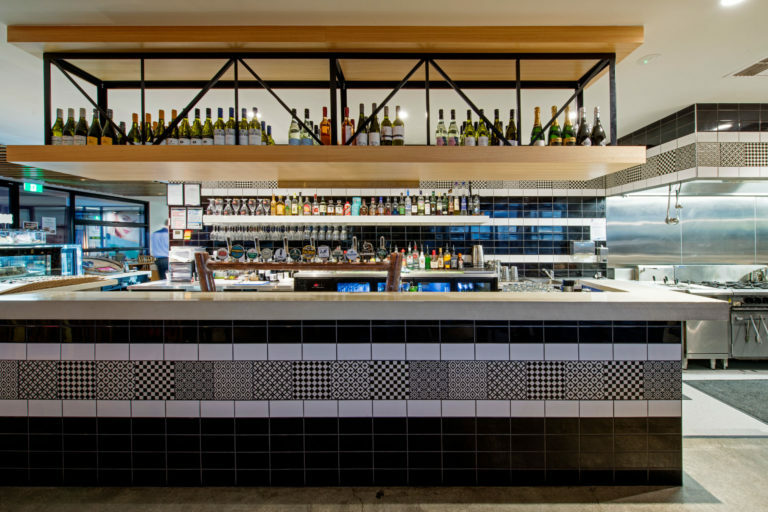 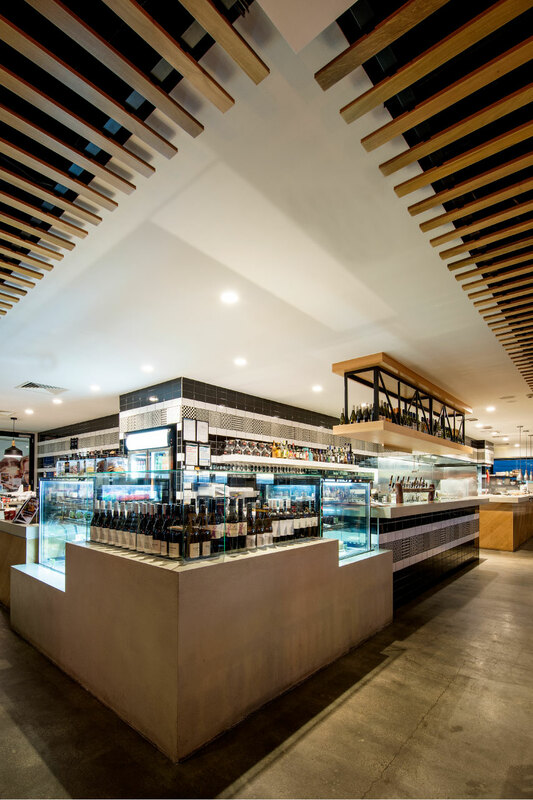 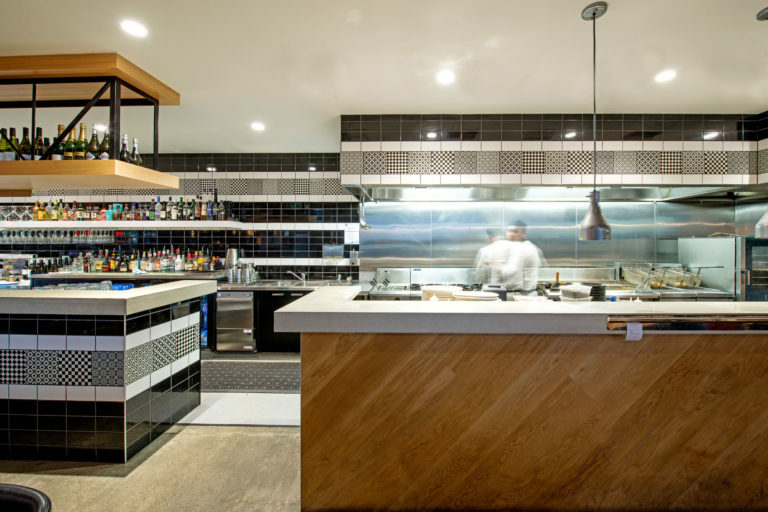 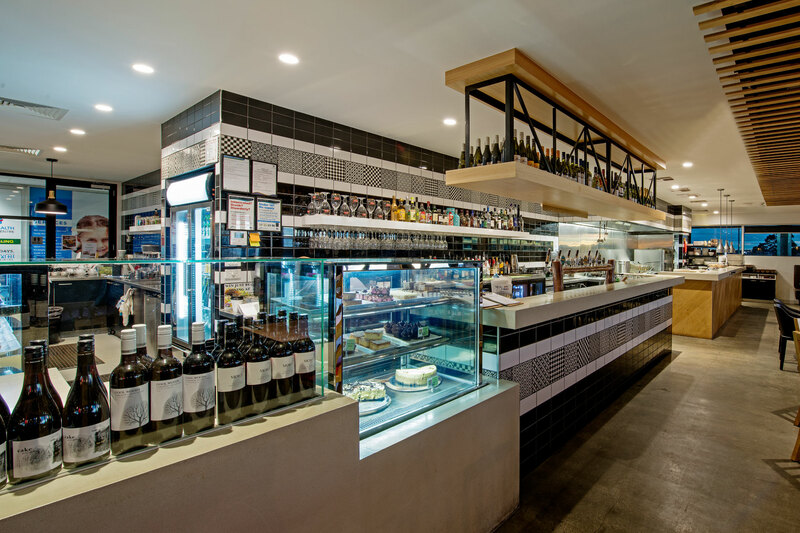 Situated on the corner of the busy Stud Road shopping strip, the restaurant offers a lively atmosphere and modern Australian food. The dining area is laid out in an L-Shape around an open kitchen and service areas. 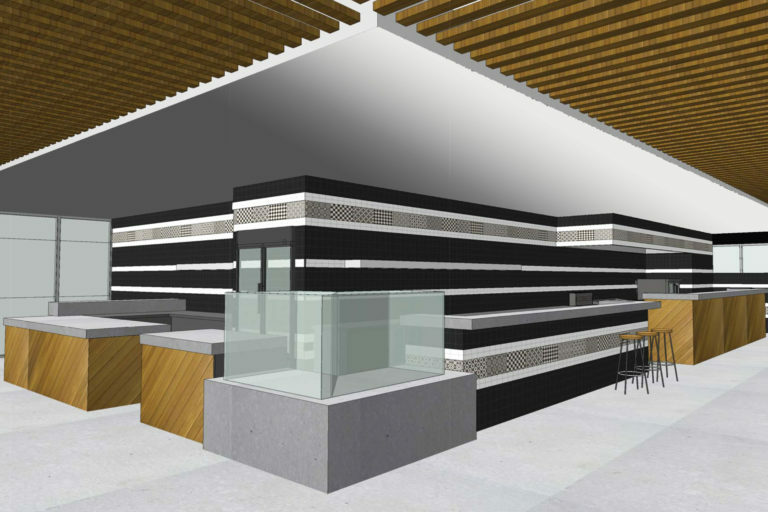 All seating is arranged besides existing perimeter windows to showcase external views. 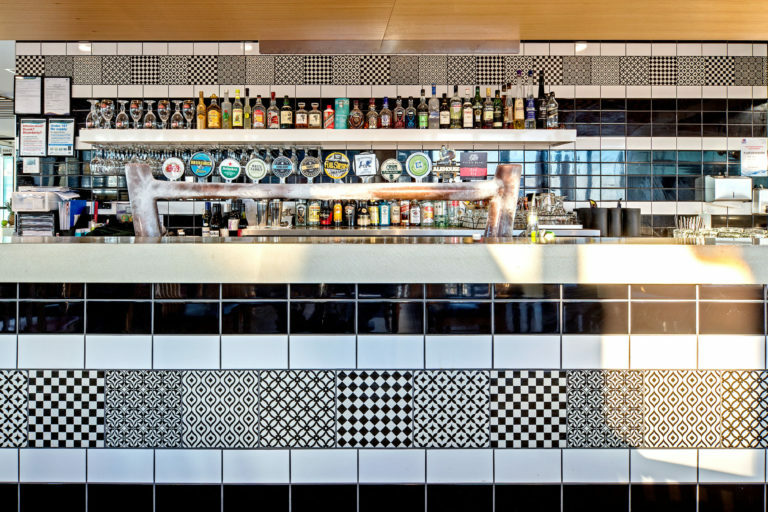 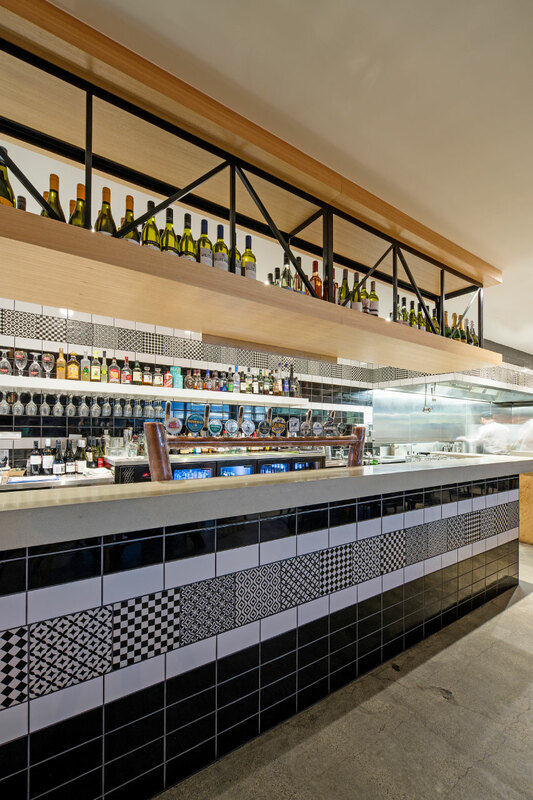 The graphic tiling is laid horizontally on the counter and rear servery walls to accentuate the elongated site. 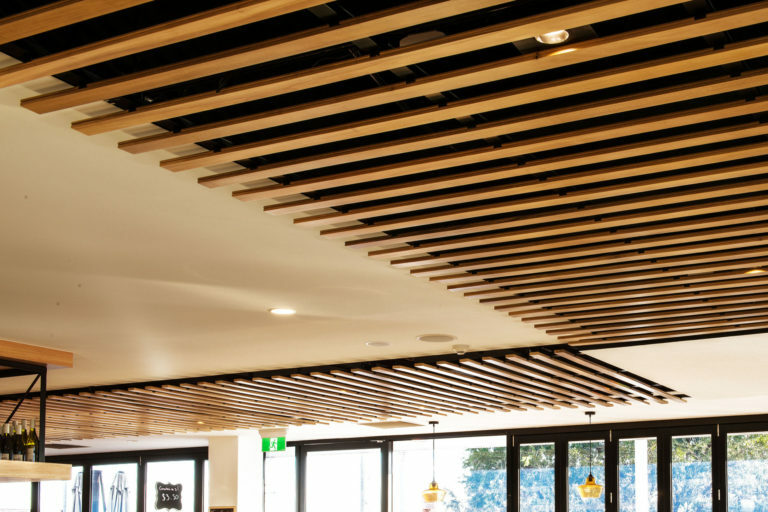 A timber batten acoustic ceiling further enhances the site’s shape and provides diners with a sense of privacy and seclusion.